Ichigo and Neliel. 爱情 the art. 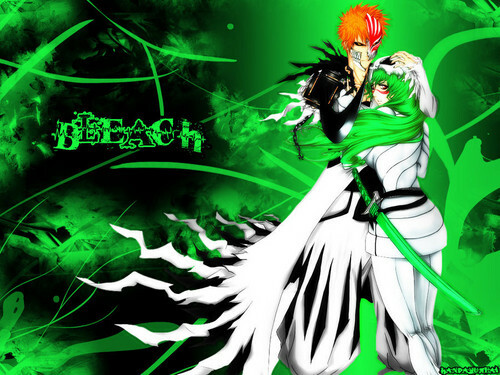 HD Wallpaper and background images in the 死神 动漫 club tagged: bleach ichigo kurosaki. This 死神 动漫 wallpaper might contain 花束, 胸花, 波西, 香奈儿, 捧花, and 铭文. Oh my gosh! Nel and Ichigo look so good together. They should kiss in the anime. Aww they look so adorable together! I'm reading the manga (I don't have Netflix :( ) and I just got to the part where Nel got her original form back, but I agree that the two do look good together!